Beauty and the Beast has never been my favourite story, but when I saw that this BATB retelling was set in medieval Russia and incorporated aspects of Ivan Tsarevitch, the Firebird and the Gray Wolf, it went straight onto my TBR list! Hunted follows Yeva (nicknamed Beauty by her family), a young girl who’s a skilled hunter after training for years beside her father in the woods close to their village. Yeva has a comfortable life with her father and two sisters, spending most of her days accompanying the baronessa of the village with a group of other women. 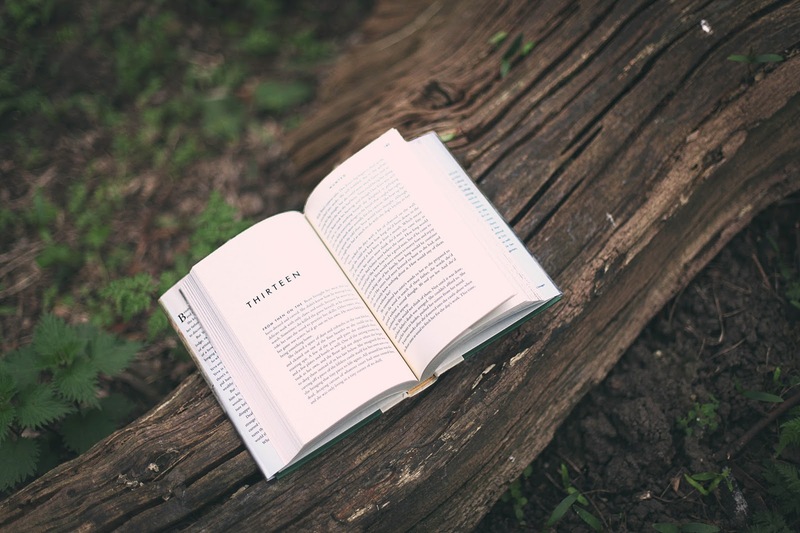 However, she grows tired of living up to the standards of high society, and longs to live in the woods and carry on hunting – and also to meet someone who will understand her unconventional ways and treat her as an equal with admirable skills, rather than a submissive woman. When Yeva’s father loses his fortune, her family is forced to move back to his small hunting cabin deep in the woods. This may seem like a blessing in disguise for Yeva, who is finally able to escape the confines of high society, until the day that her father goes missing after becoming convinced that there is a beast living in the forest chasing away his prey. Yeva is then forced to go deep into the woods to search for him. What follows becomes a merging of Beauty and the Beast alongside Ivan and the Firebird, mixed with multiple other Russian folktales that I’ve come to love over the years. I generally have three problems with Beauty and the Beast, and thankfully, Hunted eradicates all of them. First off, the stockholm syndrome. Yeva gets to know the Beast and forms a bond with him before knowing that he is the one who imprisoned her, and once she finds out, she struggles with her fondness for her mysterious friend Ivan, and the beast who chained her up and who she believes hurt her father. There is also a conversation between Yeva and a friend of hers about abusive relationships – something which I’ve definitely never seen in a Beauty and the Beast retelling before, and which improved the story as a whole so much. 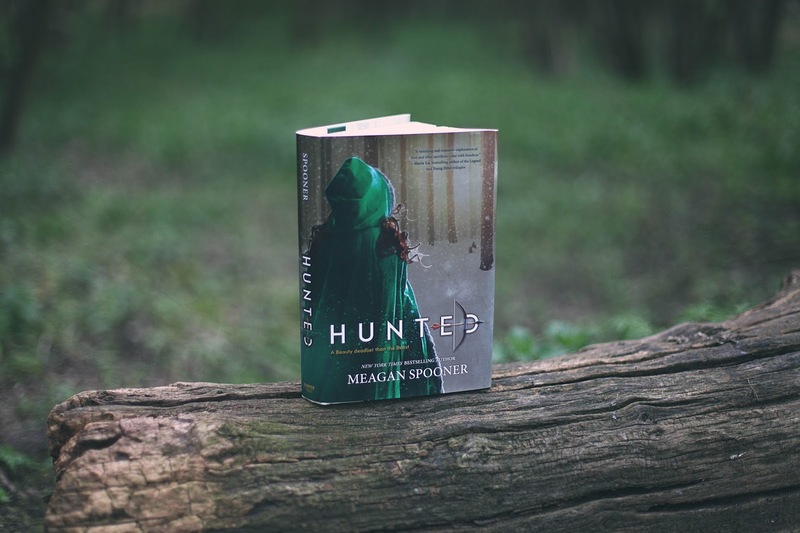 Issues like this need to be addressed in these sort of stories, and I was so thankful that Meagan Spooner took the time to add this conversation into the book. Second, I’ve never really liked Belle/Beauty in these stories. Thankfully, Yeva was a much more interesting character – she’s a strong female character (and we can never have too many of those, in my opinion), she had depth, she was incredibly selfless and always put others before her (even those who hurt her), she was determined and she knew exactly what she wanted, and I really came to relate to her story. The author’s note at the back of Hunted points out that this is very much a coming of age story that the author herself feels relates to her own life, and I could also relate to so much of it, so Yeva really grew on me. Third, the sisters. I don’t think I’ve ever read or seen a version of Beauty and the Beast where Beauty’s sisters aren’t awful to her, but Yeva’s sisters, Lena and Asenka, are both wonderful characters in their own right and are always looking out for their younger sister. I really enjoyed both of their individual stories and would definitely read more about them. Fourth (I think) the Gaston character. We’ve all seen this guy be the typical douche (lets take Tamlin in ACOTAR, for example) but Yeva’s suitor, Solmir, is actually such a nice person and admires Yeva’s talent for hunting and tracking – he doesn’t treat her like she’s below him or expect her to be the typical wife figure, and constantly reassures her that he’d never impose any expectations on her if they were to marry. When she’s unsure about being with him, he doesn’t push her at all and promises to protect her family when she leaves the cabin to search for their father. There was honestly a small part of me that was shipping him with Yeva, he was just that lovely! And finally, the ‘fall in love to break the spell’ trope. Without spoiling anything, I’m so happy to say that the Beast isn’t constantly trying to force Yeva to fall in love with him in order to break his curse. He believes that his curse has to be broken in other ways that require Yeva’s help – but I won’t say anything else on this as it’ll spoil too much of the plot! I have to say that the incorporation of Ivan Tsarevitch, the Firebird and the Gray Wolf worked so perfectly with this story, and the second half of this book is definitely more of a retelling of this folktale than of Beauty and the Beast. It was done in such a clever way, and I’m still in awe at the way that the author managed to weave the two together and set the result in medieval Russia so perfectly. 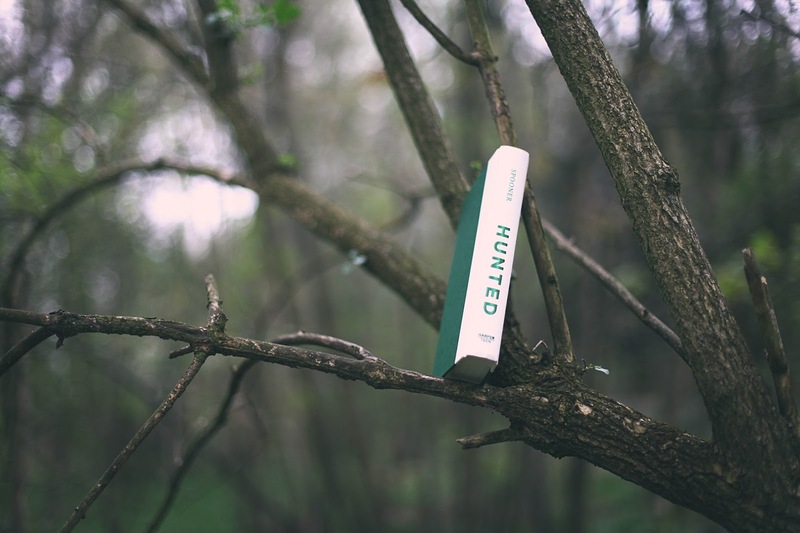 I’m always on the lookout for new books inspired by Russian folklore, and I’m so glad that I came across Hunted.